What is CCNP SWITCH 642-813? CCNP SWITCH 642-813 refers to a qualifying exam which is primarily designed for Cisco certified design professionals and Cisco certified network professionals. Passing this exam and receiving a certification afterwards is a major help in showing that you have the skills and knowledge that are essential in planning, configuring and verifying the process of implementing even the most complex switching solutions for enterprises with the help of the enterprise architecture from Cisco. This exam covers a variety of topics linked to securely integrating wireless local area networks (WLANs) and virtual local area networks (VLANs) into Cisco. It also covers topics in the field of securely integrating video and voice into the network. Passing this type of certification exam also works in providing a strong validation of your skills, expertise and knowledge when it comes to planning, verifying, implementing and troubleshooting wide and local area networks for enterprises while also collaboratively dealing with reliable and expert specialists on advanced video, wireless, voice and security solutions. Fortunately, a free CCNP SWITCH practice course is now offered by Brainmeasures and this is a major help for all those who wish to eradicate all the difficulties associated to taking up the certification exam. Enrolling in this free practice course allows you to access the free study guide from Brainmeasures as well as its practice test which is updated and expertly developed. This gives you better chances of learning what is covered in the exam and eventually passing it. 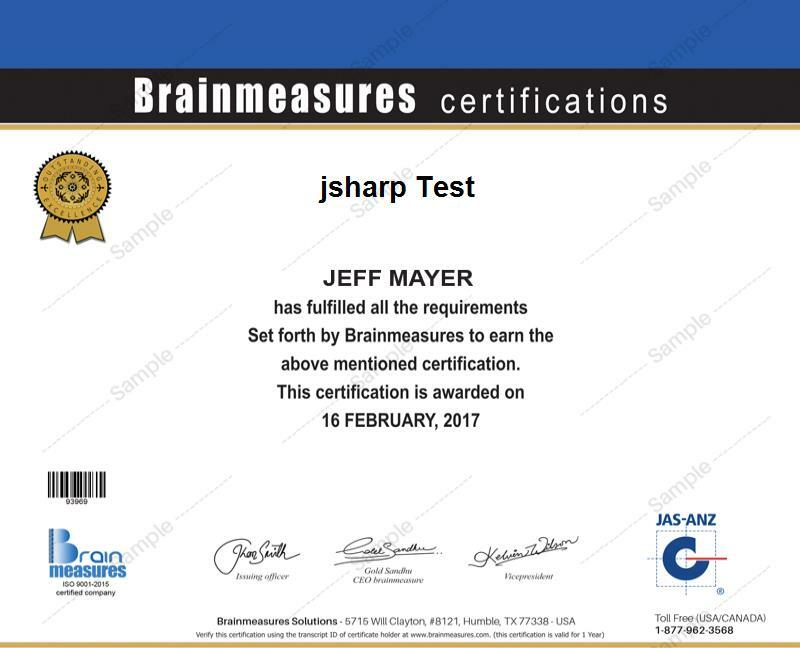 Brainmeasures free CCNP SWITCH certification practice course can work effectively for you especially if you really have a strong passion in this field and you want to further enhance your competence in it. This free CCNP SWITCH practice course is truly remarkable since it lets you obtain a clearer understanding about the scope of CCNP SWITCH, the specific people who can benefit from it and the basics of using your knowledge and skills in the field to maintain the security and excellent condition of a network. All aspects related to the field are comprehensively explained in the free study guide that is provided after you take up the certification exam. Enrolling in this free practice course also helps you in accessing the free practice test offered by the company which can guide you all throughout the process of taking up the actual certification exam. How to relay the topics of the certification exam to a network engineer? How to implement and verify the planning stage? How to effectively build a campus network? How to effectively monitor switching tables? How to efficiently connect devices and switches? How to effectively manage error conditions within a SWITCH port? The free CCNP SWITCH practice course developed by Brainmeasures is proven to be useful to a lot of individuals and professionals especially those who dream of successfully passing the CCNP SWITCH certification exam. It typically targets network consultants, administrators, network engineers, help desk technicians, technical support personnel and all other individuals and professionals whose daily duties and responsibilities mainly include the accurate implementation of solutions for networks. You can also expect your CCNP SWITCH certification to help you in receiving a much higher salary. It gives you the chance to work as a CCNP network engineer and earn around $77,000 to $120,000 yearly. Working as a technical and network solutions architect is also beneficial since it can reward you with an annual pay of around $86,000 to $144,000.